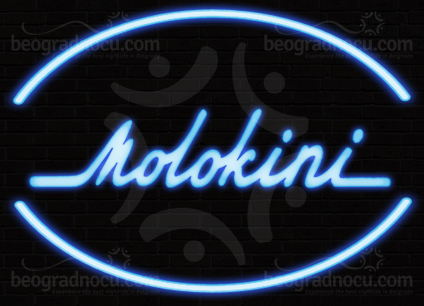 Club Molokini is located in downtown, on the edge of Kalemegdan fortress. You will see something magnificent, prepare to dive in. Night club Molokini is one of most beautiful clubs in Belgarde. Idea of this club and its staff is to present to you something that you are not used to and to satisfy all your senses. Prepare yourself for an eruption of fun! An interesting fast is that club Molokini is named after submerged volcanic crater near Maui (Hawaii), which is very famous tourist attraction. In accordance with with this, interior of this club is completely redecorated with aquariums 50 meters long. At the entrance you can notice, that a lot of effort and resources has been invested in every detail. In very bold transformation of the club, instead of classic walls, you are surrounded with fifty aquariums with colorful fishes, and instead f white ceiling, dominates dark of deep see, justifying name of club. All in all, very unusual and original. That club Molokini is one of the best in the city, tells the fact that popular singer Neda Ukraden has filmed a video here. And therefor, the song is called ''The best club in town''. Club Molokini disposes with few booths, around 20 high seating's, along with numerous bar tables as a part of dance floor. Club Molokini is equipped with professional surround system and lightning. In drink offer are various drinks of foreign brands. Among domestic brand, you can find different kind of rakija - quince, plum, apricot.. There is big selection of cocktails in club, as well as shakers available for guests. In club Molokini you can expect live performances of popular regional stars. Beside pop and folk music you can also hear folk music. Atmosphere is always pleasant and people cheerful and smiley. Welcome to capital's club Molokini.